While IMPOSE rocks SXSW this week, we’ve got a pretty stellar lineup of artists who have decided to get in on the fun with us and host social media takeovers on our IMPOSE platforms. Not only is this a fun way to get to know talents and personalities you may not know yet, but some of them are going to go behind the scenes of some epic SXSW 2017 musical moments. So check out our Facebook and Instagram around the times listed below to catch some of these guys doing their thing. 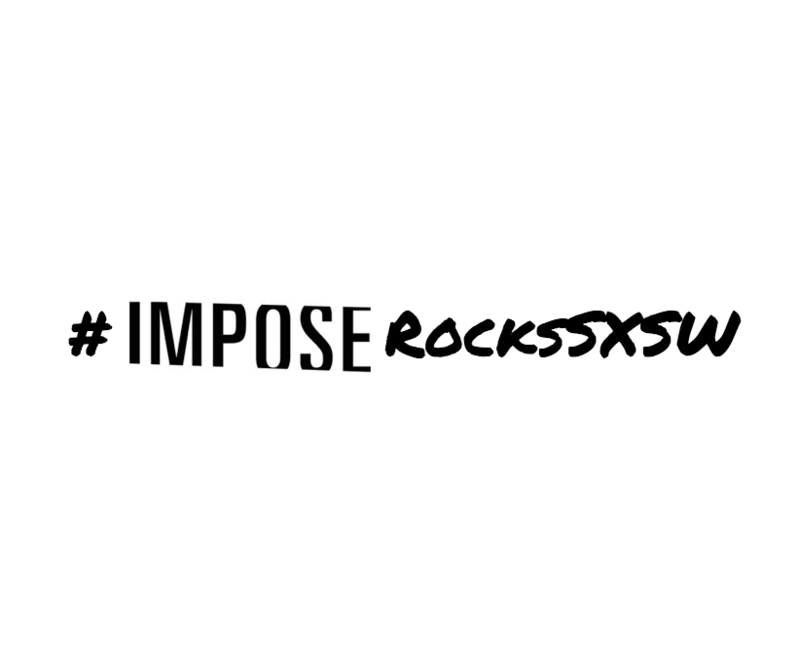 And – as always – remember to hashtag #IMPOSErocksSXSW if you’re down in Austin enjoying the vibe! **Subject scheduled to change. Bands still up for consideration will be added as available. *repeat repeat 8pm – ?